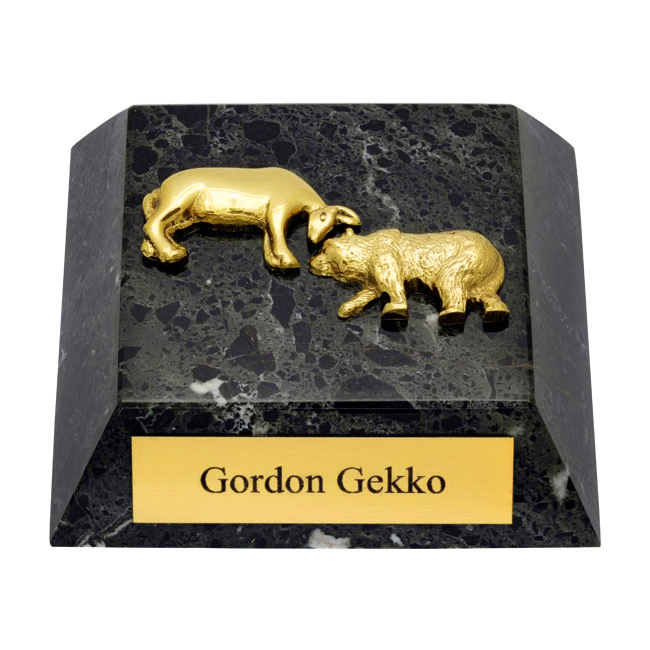 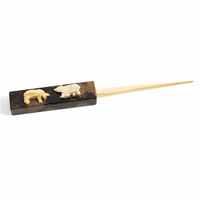 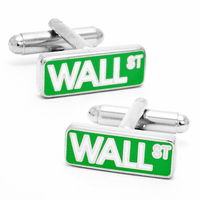 FEATURES/SPECS Do you know a stockbroker or trader who's desk is an absolute mess?Working in the financial industry is tough business, help a friend keep their desk neat and orderly with this bull and bear marble desktop paperweight. 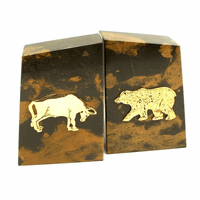 Made of solid black marble, it has elegant white veins running throughout. 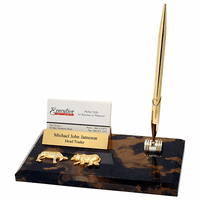 A brass bull and a brass bear, the symbol of the financial industry, is mounted on top. 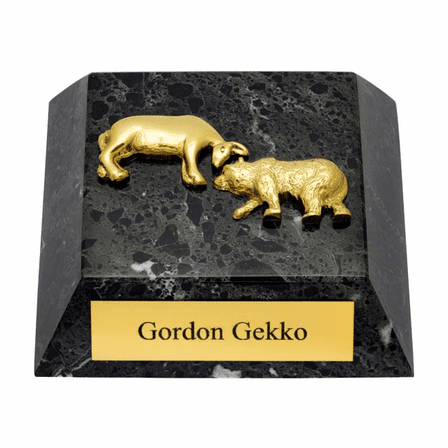 Add a laser engraved brass plate to the front of this paperweight to turn it into a personalized keepsake any financial titan would be proud to display.